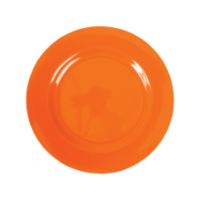 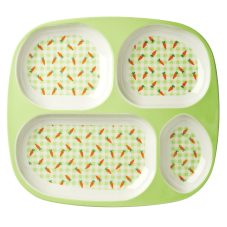 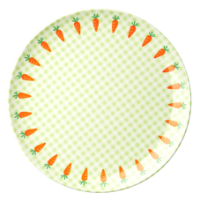 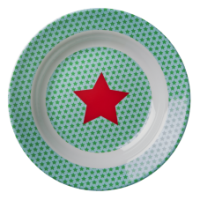 Green check and carrot print melamine kids 4 portion plate by Rice DK. 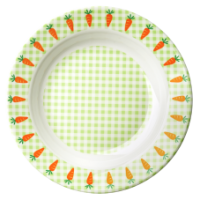 This colourful plate, is in a two tone green check, with a carrot print and a green border by Rice DK. 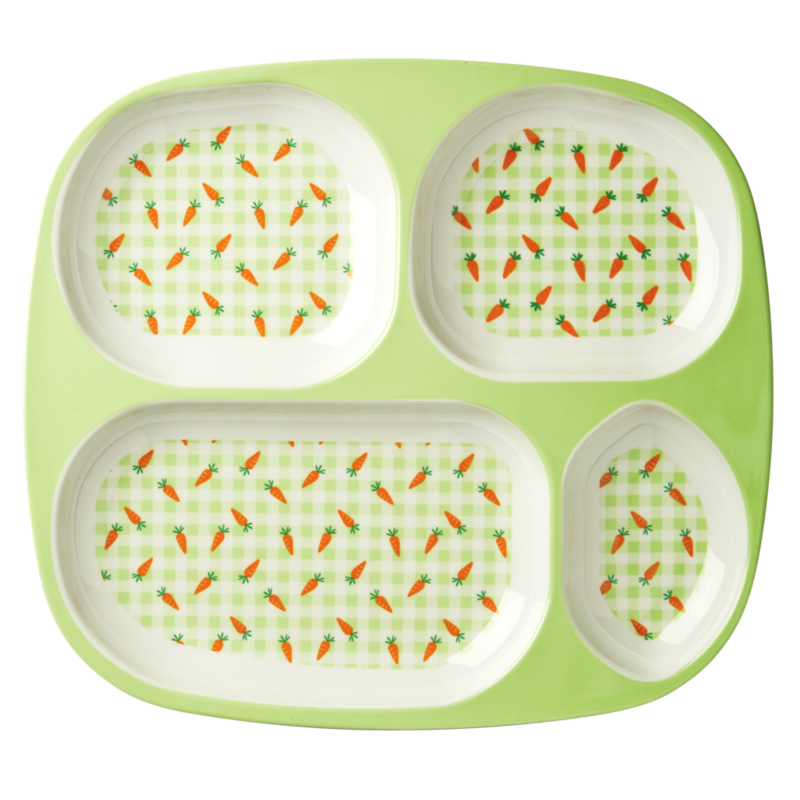 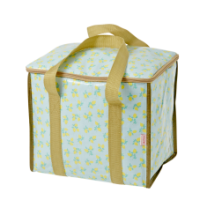 Make meal time with kids fun, by filling each space with different things. 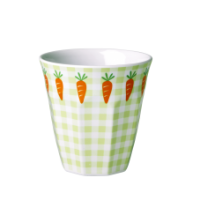 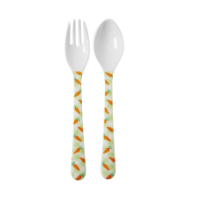 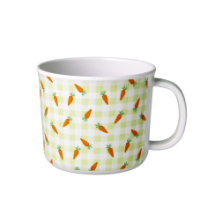 Mix and match with plain colourful cups and bowls, or match up with the carrot print cutlery, baby cup with a handle, plate, cup & bowl.